UltraSearch finds files and folders on local NTFS drives and provides the results including a file preview in just a few seconds. The free tool is available in German, English, Dutch, French, Portuguese and Spanish. UltraSearch does not maintain an index which is stored on your harddisk, but achieves its speed by working directly on the Master File Table (MFT) of the NTFS partitions. UltraSearch even identifies NTFS hardlinks. Simply enter a file name or a pattern like *.exe and see the first results while you are still typing. 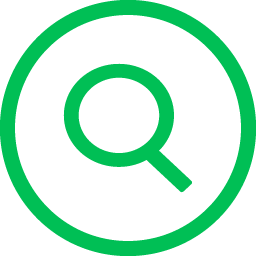 In addition, UltraSearch supports regular expressions and will search file content. Additional information like file size and file dates (last changes, last access and file creation) will be shown for all listed files. Naturally, the Explorer context menu is available inside UltraSearch. UltraSearch enables you to exclude folders, files or file types from searches via an exclude filter. The search results can be sorted according to different criteria, printed or exported as text, RTF, HTML, CSV, and Excel file. Define file groups (such as movie files, text files etc.) and search for all file types the group contains. The recently used search patterns can be saved and selected from a dropdown list. UltraSearch can suggest patterns or autocomplete manually entered patterns automatically. UltraSearch can be started from the context menu of your Windows Explorer - starting a search within the selected directory could not be easier. Use UltraSearch wherever you like thanks to the portable ZIP version. Running a 64 bit operating system? UltraSearch is available in a 32 bit and a 64 bit version! Download your version today! Our software TreeSize Professional offers a custom file search where you can search for and filter by additional criteria such as file size or file date.